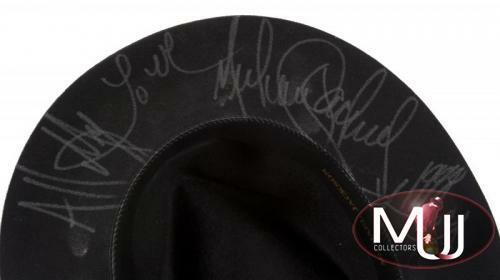 Black wool fedora signed by Michael in silver marker "All My Love Michael Jackson 1998." 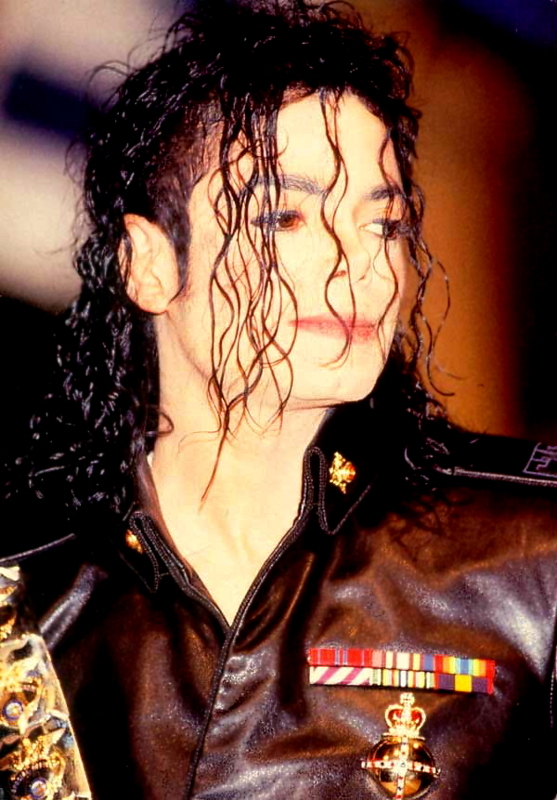 Interior sweatband is stamped in gold ink "Michael Jackson." Size large. 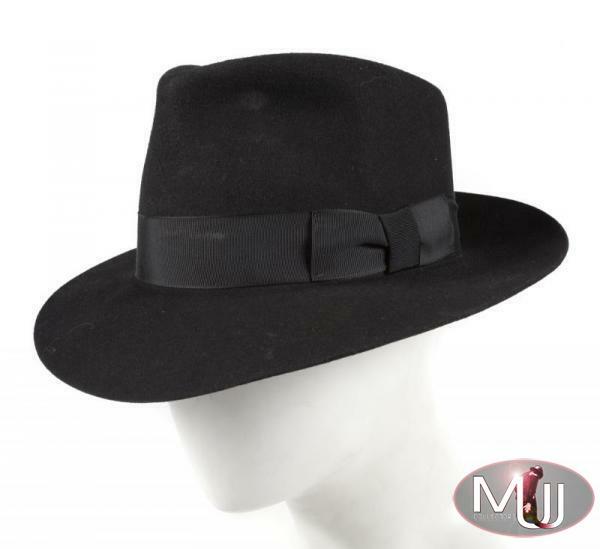 Sold by Julien's Auctions (Lot #862) for $7,040 at their 2012 "Sports Legends and Music Icons" auction. All pictures and screen captures are the property of their respective owners.